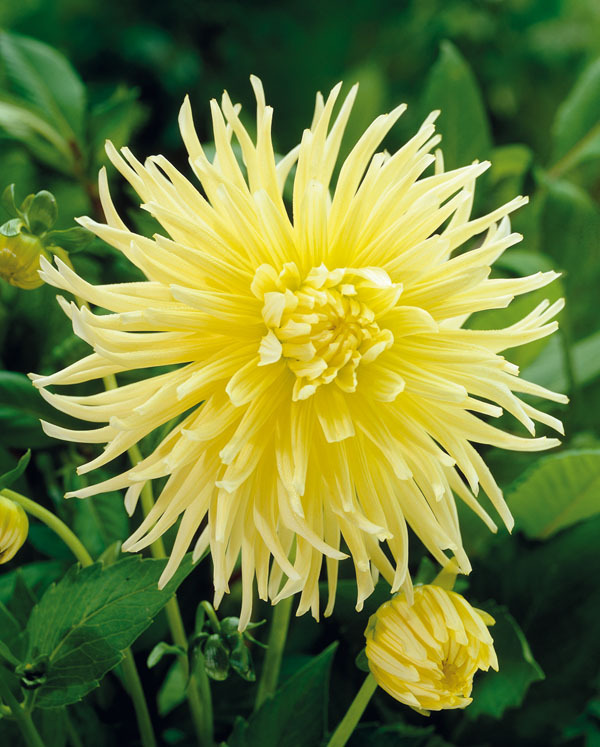 Yellow Star Fringed Dahlia If soft, French yellow is the colour you seek, yellow star is the Dahlia for you. This large Dahlia would be suited to the back of the border where it can provide the backdrop and contrast for your garden composition. 1 clump/pkg.